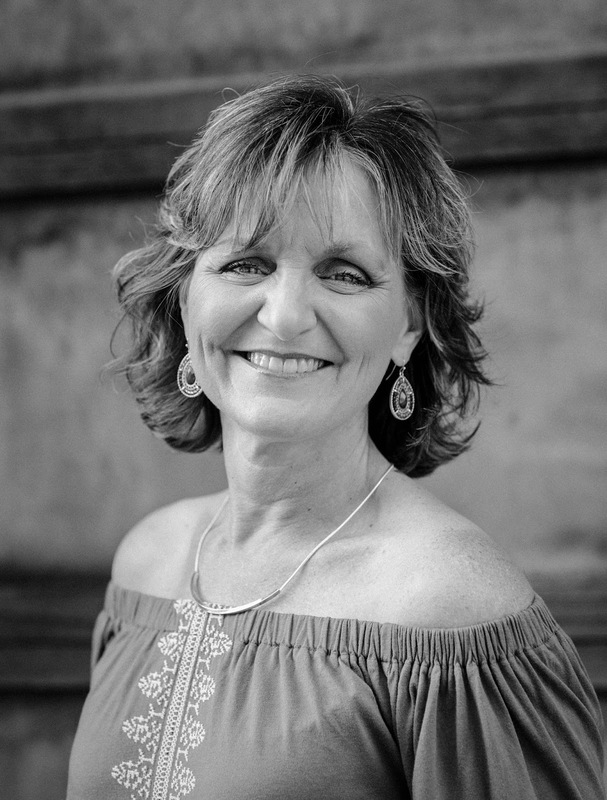 Thank you for joining me in Karen of Dessert Cottage - Where Bloggers Create Party. 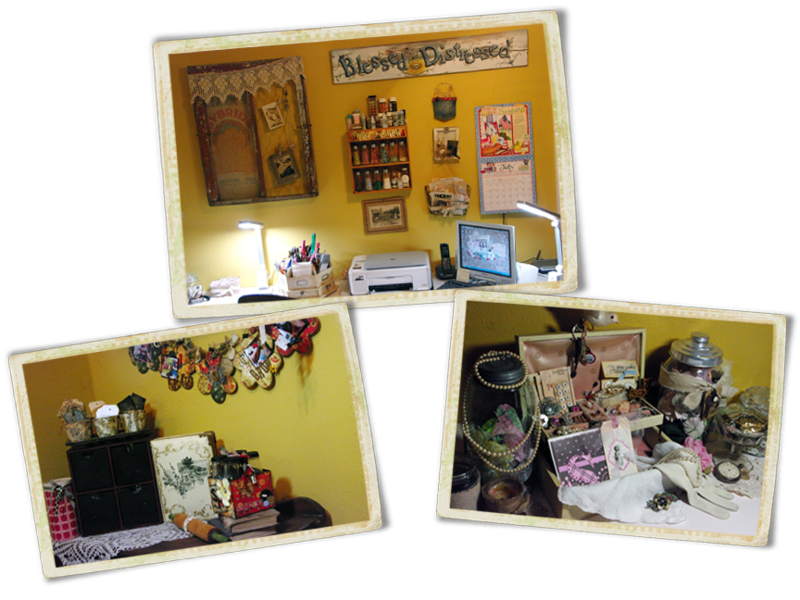 I am joining in again this year as a motivator to reorganize and spruce up my space. This little creative nook is in our basement that we finished after we moved into our home. We started with a very modest budget and many reconditioned items. The desk top is from a old kitchen counter. Not very beautiful, but functional. 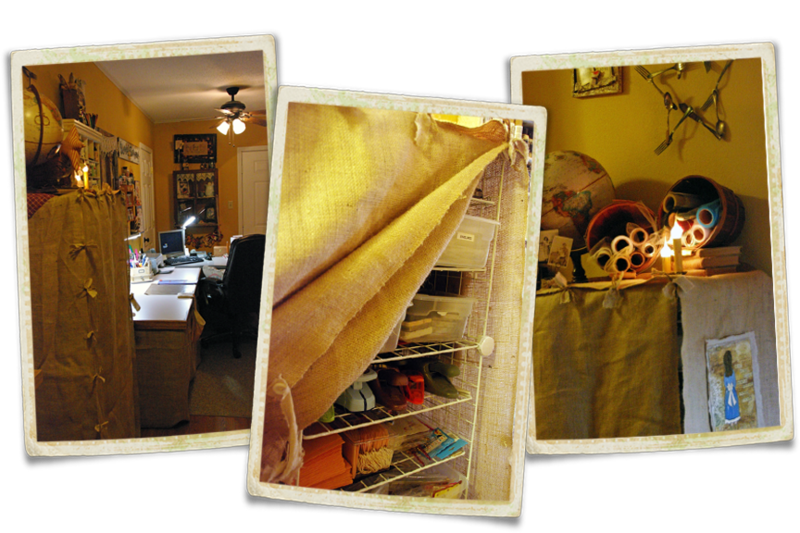 A burlap skirt around the desk helps dress it up and hides our computer and organizational tubs. Our cabinets came from my Dad's kitchen redo. We painted them and installed them in the hallway for additional storage. My vintage dress form, Miss Clara M., is the newest addition to my creative space. She greets everyone that comes into my space. A lunch box and luggage pieces placed around my studio, gives me additional storage. I enjoy having little treasures displayed and sitting out so I can play with them when I sit down to create. Many of these items displayed around the room are family heirlooms and special treasures given to me over the years. For this year's party, I decided to cover my wire cube organizer with burlap. Even when this area was organized it was always an eye sore since the opposite side of this room is our rec room that we are constantly in. I took the quick no sew approach and tied the front panel to keep it in place. Then on the right side, I added only one tie that can easily be untied so I can get into it. I purchased old drawers for only $7 a piece and hung them on the wall to hold additional vintage treasures to create with and also hold priceless pictures of our family. Thank you for stopping by my creative space. I can't wait to visit others to see where you all create! Have a beautiful day, sweet friends. So nice to see your space--and YOU! What a great post! 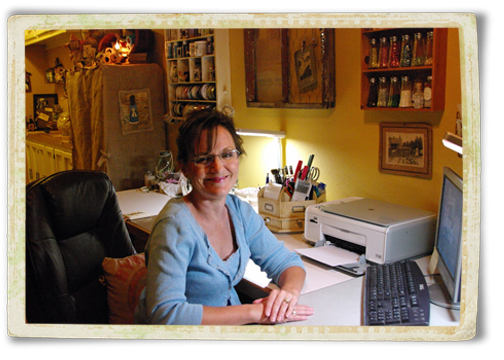 I love your space and I enjoyed the way you creatively shared the pictures... so very pretty! I also liked seeing your message on your sidebar about keeping our four-leggeds for LIFE and that they are not disposable. I'm following you now and look forward to coming back for more visits. love this space - I am really digging the burlap covers - very rustic and functional...great box shelves too - I have a few of those up in our play room - cool use of vintage items. Hope you have a chance to stop by and see my cluttered mess. Thanks for letting me see your space. You have many lovely things. Loved seeing your space. What a fabulous area to work in! LOVE THOSE BURLAP COVERS! 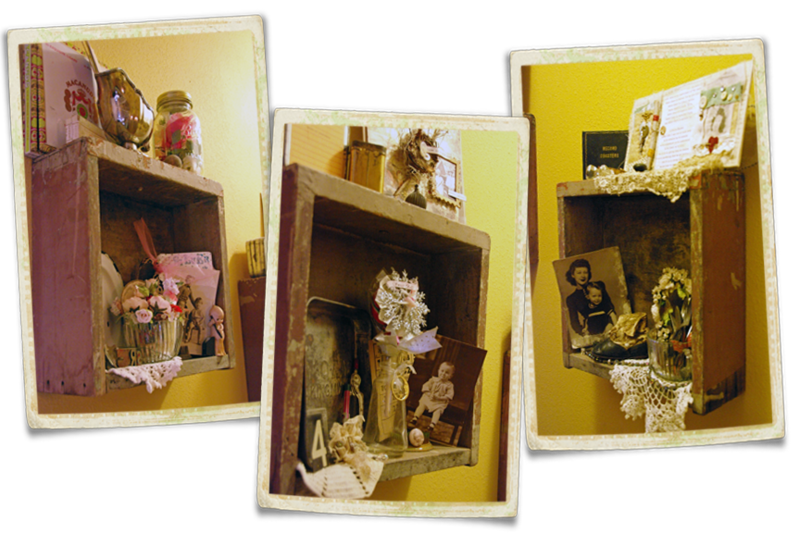 I love your blog and especially how you used the drawers for little vignettes. What a great idea! I love those drawers used as mini-shelves! I think you have a great space! Love that you covered the wired rack in burlap and those drawers are fabulous! How creative are you!! I love your space. It's so special. I like your blog too!! I love all the drawers on the walls, hmmmm sounds like an idea!! LOL!! Love the old drawers on the wall. 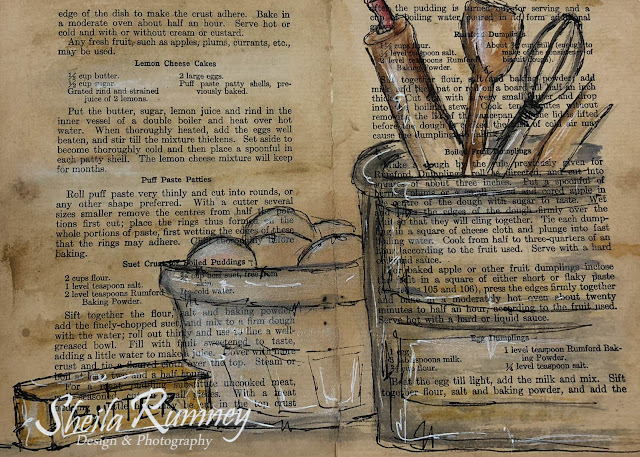 I have a old oak desk drawer in my kitchen with cook books in it. Oh that reminds me I am supposed to be baking a tart right now. Back to the outdoor kitchen. Enjoyed your studio. Thanks for sharing it and great pics. What a brilliant idea to buy old drawers and use them as shelves, I really like that idea. Loved your space! Hi Sheila! How nice to see your pretty face!! Your studio is a cute as I knew it would be! I too love the drawers as wall shelves. Just Inspired!! Thanks so much for joining the party!! I visited your space last year and loved it. I'm glad I stopped by again to be inspired by your shabby/vintage style of decorating. I love how you used the photos in your post. Thanks for sharing such a wonderful, inspiring room! What a great use of drawers; brilliant! I love your space...those old drawers are fabulous! What a great idea the burlap covers are too! Everything is lovely -- burlap is highly underrated and I love what you did! Sheila---The photo of you at your desk just brought the biggest smile to my face...you have such a sweet soul! Lovely creative space. So glad that I came by for a little visit this evening...Enjoy these wonderful summer days, friend. I like it and think it is great! You show great creativity on a smaller budget. Wonderful ideas. Thanks for sharing. That is a great space, Sheila. It gives me some good ideas as mine is chaos right now!!! Love the burlap and the old drawers hanging on the wall. So sool! Gorgeous space, and I love how you display your pictures! Your space is wonderful. Love the drawers used as shelf and the way you've used burlap. Thanks so much for sharing your space with us. Love every corner of your space - very creative! I especially like your old drawers on the wall. So useful! Welcome to the party, I've enjoyed my visit with you today. I always love looking at everyones pretties. What a wonderful and creative space using your vintage treasures for inspiration and vignettes. Love the wall drawer hanging shelves. Great way to display your treasures and photos. You are one talented lady. Love it! Very organized. Thanks for sharing. You have a wonderful room and I love that it's right next to the rec room where everyone hangs out! I so enjoyed your tour. I love the way you oriented your pictures,How did you do that? You have a lovely space. The drawers on the wall are a brilliant idea with great little vignettes. I love the little shakers of glitter too. Thanks for sharing and I hope you get a chance to see my space too. Love the way you use different items for your treasures. I like the box shelves and how you have them displayed with vintage items. Your frame with the chicken wire and old lace on it rocks. thanks for sharing. XO Fran. Your workspace has a warm cozy feel to it. Those old drawers has such character and with your vintage treasures and photos, they're vignettes in its own right; love it. I've enjoyed visiting your creative space, thank you for sharing it with us. Love the post and I adore your space. Really liking the flower banner too..Such talent! TFS!!! You sure are blessed, indeed! I love your space and everything in it! Beautifully put together and organized. Thank you for sharing! You're beautiful as your creations and your blog. Your warm personally shines through. Wow, now a fan and a follower!! Great stuff, love the salt shakers!! Lots of fun stuff, good job, keep up the great creating. Love your space, and the idea of the vintage drawers is great! The rustic feeling in the studio is amazing I really ♥ it. Thanks for sharing. I love your studio. I also love your blog and am your newest follower. Thanks for opening your doors...Love your studio and getting to know your blog because of it! You have a wonderful creative space. I love the idea of the drawers on the wall as shelves. I have an old crate that I couldn't figure out what to do with. I think it might look good on the wall. Thanks for the idea. It doesn't surprise me that you are so organized!! I love the pic of you in your space. I also love all that storage space the cabinets from your Dad's kitchen gave you. Your drawers turned shadow display boxes are very beautifully decorated. I have three large drawers I was hoping to hang in my space for display and storage but ran out of wall space!! Cheery and sunny.... great space! I really like the drawer shelves idea and the other ways you have displayed your goodies. A lovely space to create it in and how lucky you are to have access to a large basement. Thank you for sharing. This has a nice feel! Great space and some good storage ideas. Thank you for the tour. It's lovely to see so many family treasures on display! Everyone's space is so uniquely beautiful...love the drawers on the wall! hi sheila - i wanted to pop on over and say 'thank you' for the beautiful tag i received in Karlas swap. i just love the vintage chicks - and for sure, i am one ! i also love your studio. so bright and cheery. and i'm in agreement with rene' - the drawers on the walls as shelves is a fabulous idea. have a blessed evening ! 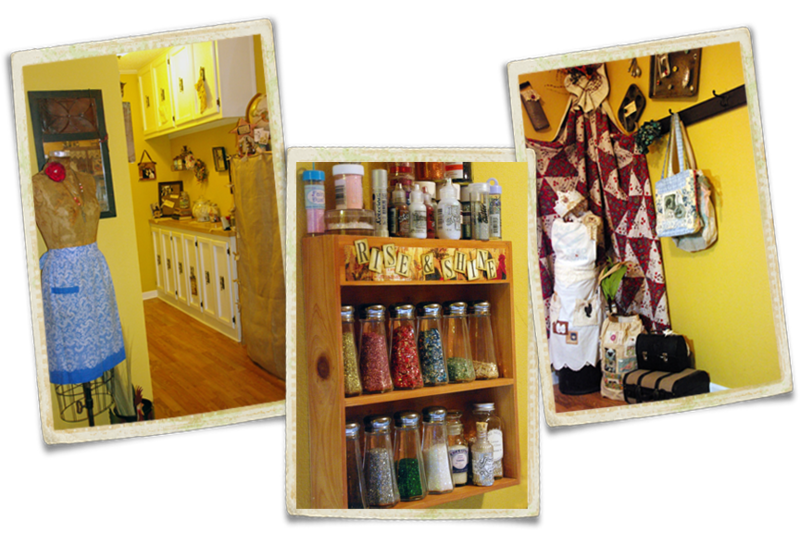 Beautiful space and Im all for doing things on a small budget, re use materials to make new things and uses out of them. Good for you!!! I especially love the old drawers you used to display things, great idea and it looks so unique.